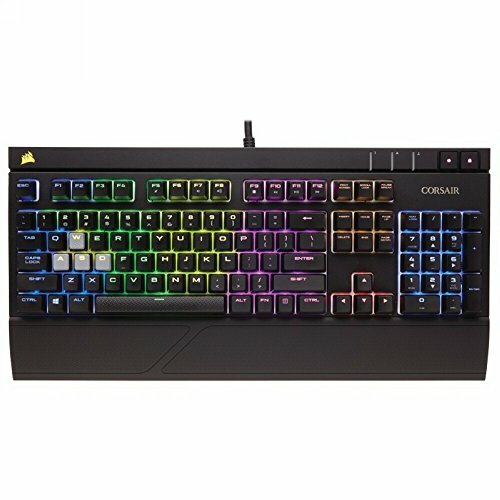 I've never used a mechanical keyboard prior to buying this one, but after using this for the past month, I can't see myself using anything other than Cherry MX Red or Silent. I love the MX Silent Keys and the feel of this keyboard in general. Those LEDs really shine bright. The CUE software needs a bit of a learning curve but it definitely allows you to customize everything on this keyboard. I love this keyboard. The RGB is amazing and I'm really happy I went mechanical. I've never had one before but now I think I'll want Cherry MX silent from now on. Really enjoy this keyboard. RGB customization is wonderful. 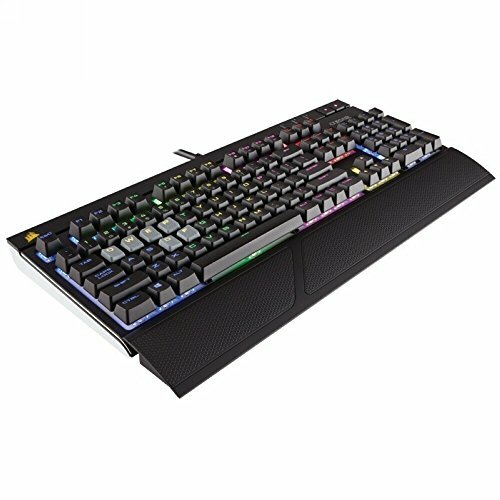 Comes with textured keys for gaming that help finding them during fast-paced gaming. 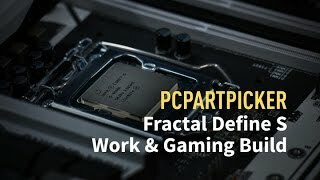 Awesome quality and insane RGB. 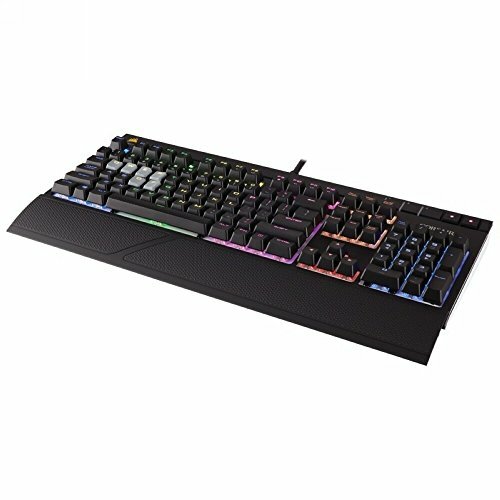 I definitely recommend this keyboard! Amazing. Just amazing. And colorful. 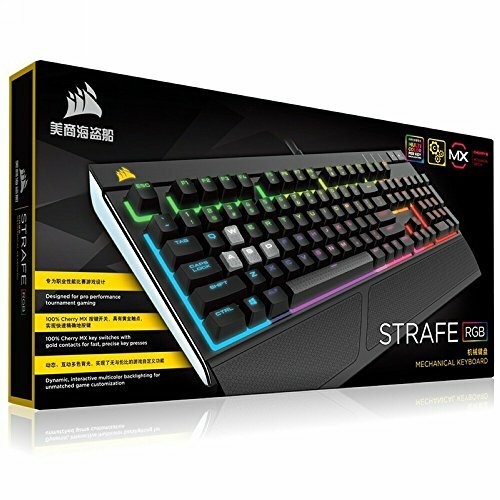 I bought the strafe keyboard, sabre mouse and void headset together because corsair uses a single software program for all their rgb periferals. Very satisfied with my purchases. 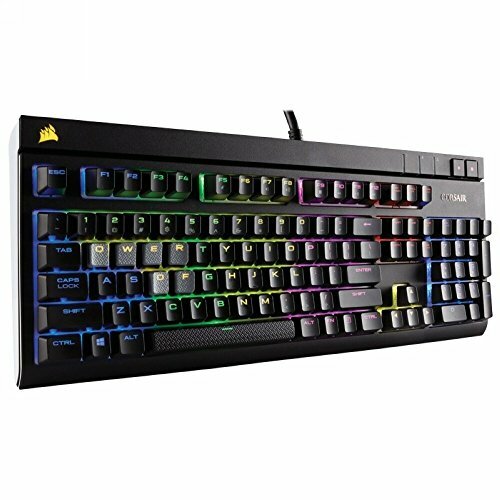 My first mechanical gaming keyboard. Really nice if you can catch it on sale and I personally love the "silent" keys -- they aggro the girlfriend less.